Ever since my first baby was born, I did all I could to learn about chemicals that are added into our foods. I was determined to keep my baby as toxin free as possible, and it seemed necessary that our food choices would need to be changed in order to make this possible. It’s easy to find organic produce in most major supermarkets in my area of NYC, and we even have a few dedicated shops to organic foods, but when it comes to meat, there really is no “organic” meat. This is what I look for when I’m shopping for meat – it should be antibiotic and hormone free. This goes for eggs, poultry, beef, pork, and dairy products. Even our own pediatrician said that if you can only afford a few “organic” things, it should be your meat and dairy products, since children consume so much of them. Another thing to think about is what the livestock are feeding on. If their diet consists of fillers and other animal byproducts, then this is what you are consuming as well. When I make dinner for my family, I want to feel good about the options that are on our table. I try as often as possible to bring a good variety of whole grains, organic veggies, and always choose hormone/antibiotic free meats. With an increase in knowledge and information, people in my area seem to be demanding more of these options and they are becoming more easily available to find at the supermarket. NatureRaised Foods® is dedicated to bringing natural food to the table. They feed their chickens a vegetarian diet and no antibiotics ever. This is a decision you can feel good about – knowing your family will not be exposed to unnecessary antibiotics and added hormones. Also, you should know that all animals naturally produce hormones so there will be some traces present in your food, but there are no hormones added to the chicken. Many companies will inject their chickens with hormones to fatten them up or produce bigger breasts, but not NatureRaised Foods. They also give their chickens room to roam and are cage free, making happy chickens! You can find out more by connecting with the NatureRaised Farms® brand on Facebook and Twitter to stay updated on their latest news and even check out their Chicken Recipes. 1. Bring oil to high heat in a wok or large frying pan. 2. Saute chicken breasts until thoroughly cooked. 4. Prepare the stir fry sauce by mixing the soy sauce, brown sugar, and rice vinegar together in a small bowl. 5. Keeping the oil in the pan, add water chestnuts garlic and onions to the pan. 6. 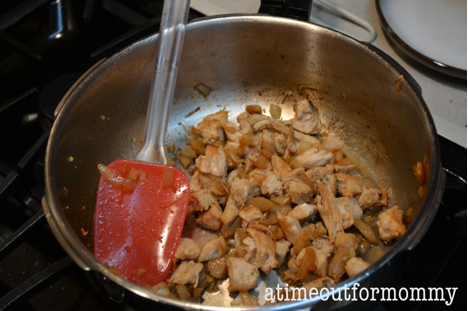 When chicken is cool, chop it up in to small pieces and add to the pan. 7. Saute for a few minutes and serve it in the lettuce ”cups”. Thank you NatureRaised Foods® and Technorati for being sponsors of this article. All opinions expressed here are my own. Previous Post: « What if Kids Could Create Their Own Toys? iPad Mini #Giveaway! I just bought my first bag of cooked chicken breast strips and I am very eager to try them. I like that this bag is listed as “value-added” because it certainly has value for my family in being able to be in their bellies faster!! These sound really good. I make wraps with canned chicken, mayo, and a dash of garlic and herb seasoning. But I like the idea of using a stir fry sauce instead of mayo. Thanks for sharing. I loved reading this article about the importance on knowing what we are consuming by knowing how the livestock is feed, I do try to buy organic meat and milk when I have the opportunity, however, I will make a priority to buy organic milk for my family. 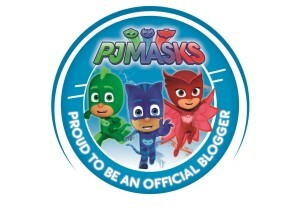 Thank you for sharing this article .! Yum, that looks delicious! I’m going to try it out this weekend when we have some family coming over. I’m right there with you about the meat, our needs to be organic. I do try to purchase food without antibiotics. The more natural the better. My family would enjoy this recipe. 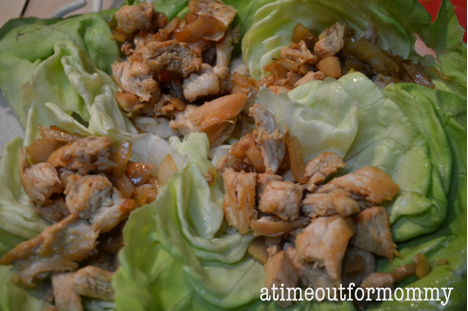 The lettuce wraps look great to try. I love lettuce wraps. Thanks for sharing about the importance of natural chicken. This looks so good. 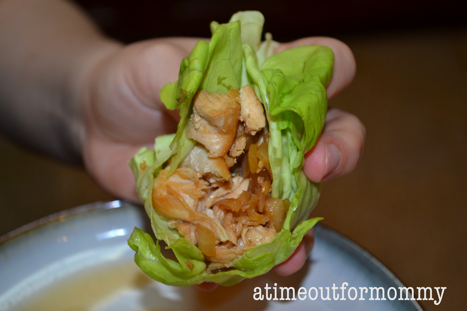 My son loves lettuce wraps so I’m going to try this.